Being active sailors and sailing enthusiasts ourselves, we are well aware of the importance of the right cordage as a connection between the sailor and the boat. With our cordage brands Robline and New England Ropes we strive to take our customers’ sailing experience to a new level. On the basis of our long years of experience and close cooperation with international sailors and sailing classes, we develop cordage that impresses both professionals and amateur sportsmen and women - no matter if they sail dinghies, cruising yachts or mega yachts. So it’s hardly surprising that teams from Austria, the US, Brazil, Argentina, Germany, or Croatia rely on our cordage. Our lines were successfully in action not only at the Olympic Games 2016 in Rio, but also at World and European championships. Ropes from Robline and New England Ropes are also found in yachts of the most active high performance sailing classes such as RC 44, GC 32, TP 52, J/70, or Moth. These international cooperations and the related success motivate us to deliver maximum performance day after day, developing ropes that excel due to their capability, excellent handling and longevity. Using high tech fibers such as Dyneema® we create ropes featuring very low weights and optimum breaking loads. 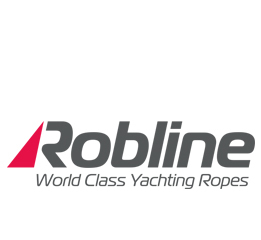 Tapered lines, ropes with large diameters for mega yachts, customized (ready made) products and special custom products round off the portfolio of Robline and New England Ropes. 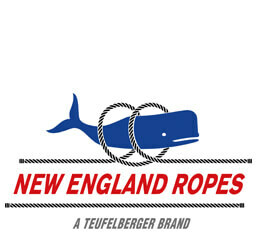 Learn more about our sailing ropes from Robline and New England Ropes.